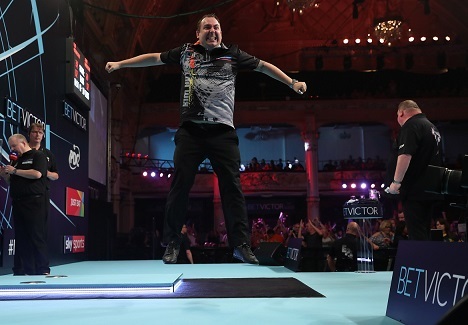 Huybrechts had suffered six consecutive first round exits on the famous Blackpool stage but broke his duck against Henderson to kick off night three in Blackpool with a bang. The Belgian had to survive a match dart in a dramatic deciding leg before finding double eight to claim victory in a high class contest which saw 13 180s and five ton-plus finishes. "I am so relieved to finally win a game on this stage," said Huybrechts, who will face Peter Wright in round two. "I was certain that John was going to hit double top and win the match but when he didn't I knew I had to take my chance and thankfully I did. "It's never easy playing under such huge pressure but I'm so happy to win and now I'm going to enjoy this moment." The former Premier League star raced into a 5-1 lead before Henderson battled back to 6-6 and then took out 60 to take the lead for the first time in the tie at 9-8. Huybrechts broke straight back with an 85 finish to save the match and take the game to a first tie-break of the evening. The Belgian missed four match darts in the tie-break, as Henderson took the match all the way to 12-12. With Huybrechts unable to watch, Henderson missed a match dart of his own at double 20 before the Belgian stepped up to take out 32 and seal his passage into round two for the first time. The former UK Open champion struck a 122 checkout to move 3-0 up and found himself in a commanding 4-1 lead heading into the first break. Klaasen fought his way back to 9-5 but was unable to get close to challenging for the lead as Wright marched onto the last 16 for a fourth successive year. 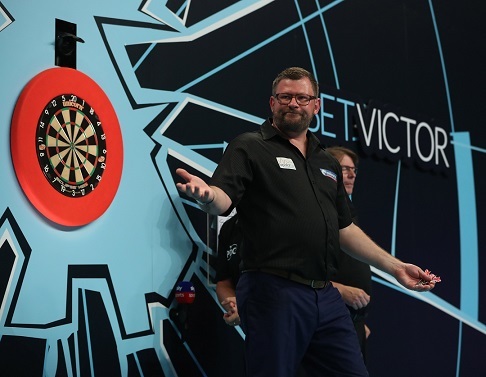 "I wanted to play a lot better than I did tonight," said Wright, the 9/2 second favourite with sponsors BetVictor. "Ideally I would've produced a ton-plus average but there's a long way to go in the tournament and I'm confident I will beat Kim in the next round." With neither player producing their best game, the six-time Winter Gardens finalist was unable to shake off a stubborn Wattimena, who fought back from 9-7 to take the game into additional legs. Wade held throw to take an 11-10 lead before landing double 18 to find the match-winning break of throw and set up a round two clash with Simon Whitlock. "That was a very frustrating game for me, I thought I was going to play a lot better than that," Wade admitted. "I just wanted to go up there and play well and not get involved in a scrap because it's never nice. "I was nervous and anxious to get over the finishing line which, thankfully, I did in the end but I will need to play a lot better than that." 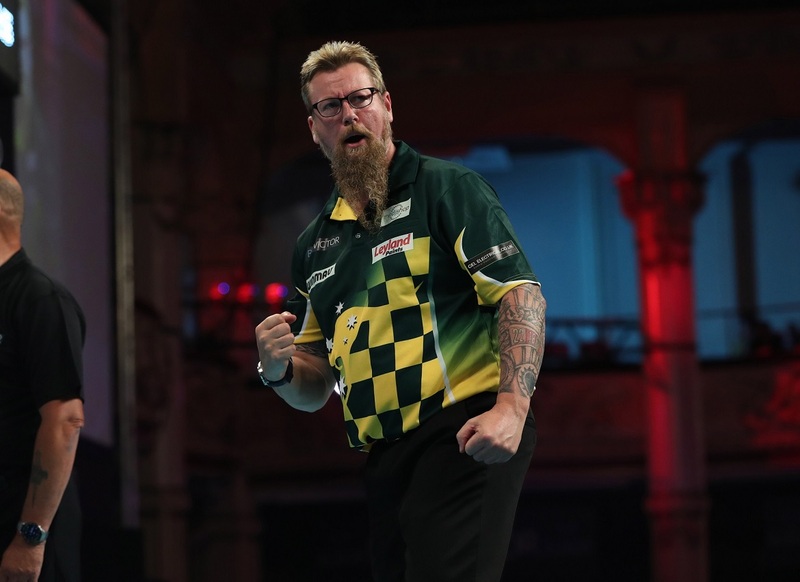 The Australian flew into a 4-0 lead and, with 36 points separating North from registering his first leg, Whitlock hit a crucial 126 finish to go into the break with a commanding five leg cushion. 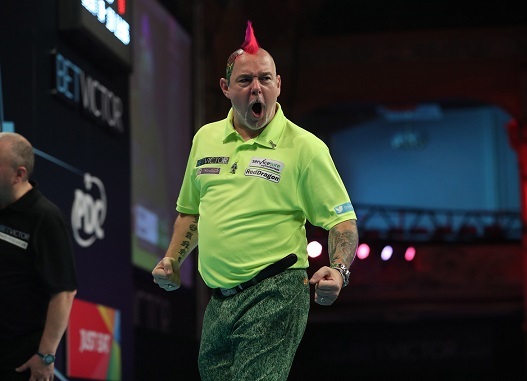 The two-time Blackpool semi-finalist made it 8-0 before North won back-to-back legs to make it 8-2, but they proved to be nothing more than a consolation as Whitlock progressed to round two for the sixth time in eight years. "Richard is a fantastic dart player, a lot better than he showed tonight," said Whitlock. "It's never easy playing a friend but I felt relaxed during the match and I'm happy to make it through."